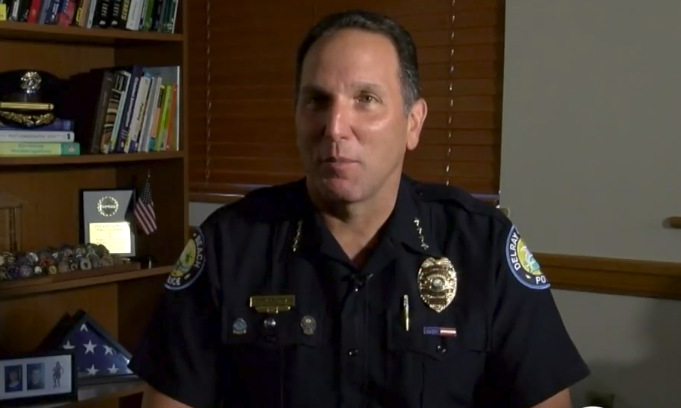 Delray Beach Police Chief Jeff Goldman will retire in just a few days after three decades on the force. The department will have a change of command ceremony on April 5 where Chief Goldman, who's been with the department since he was 20 years old, will officially retire and Assistant Chief Javaro Sims will be sworn in as the city's 16th police chief. 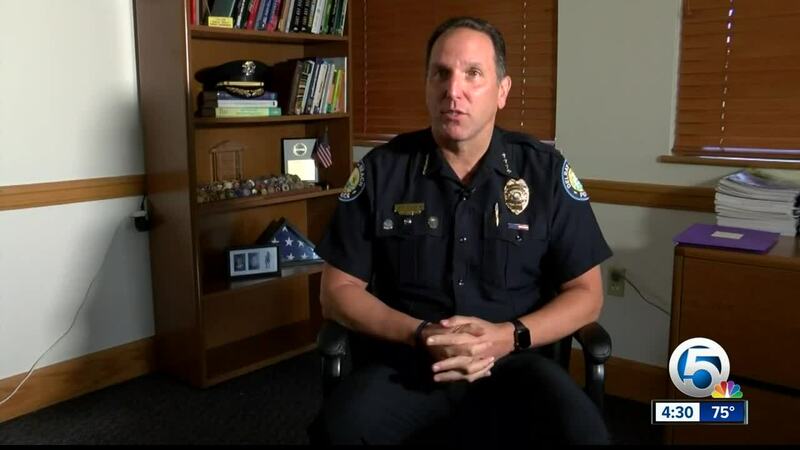 DELRAY BEACH, Fla. — Delray Beach Police Chief Jeff Goldman will retire in just a few days after three decades on the force. The department will have a change of command ceremony on April 5 where Chief Goldman, who's been with the department since he was 20 years old, will officially retire and Assistant Chief Javaro Sims will be sworn in as the city's 16th police chief. 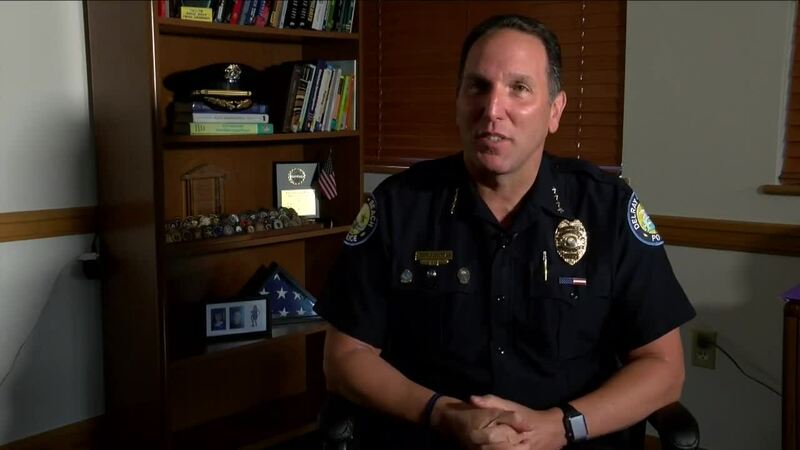 Chief Goldman spoke to WPTV on Wednesday, and said he started with the department with a high school diploma and a desire to protect and serve. "30 years later I am leaving with a masters degree and all of that experience," Chief Goldman said. Chief Goldman has been chief for the last four years. One of the things he said he saw was the need to use social media as a tool to be transparent. If you look at the Chief Goldman's Facebook page, you will find hundreds of photos, many of them selfies with community members. Chief Goldman said in his four years as chief, crime was reduced almost 7 percent. The reins will be passed along to Assistant Chief Simms who has the confidence of a 30-year veteran behind him. "To fill my shoes, I don't even go that route," said Chief Goldman. "Javaro is going to create his own marketing and branding, he's going to create his own vision, he's already started that." Assistant Chief Sims has been with the Delray Beach Police Department since 1992, and has steadily risen through the ranks. "What I've done in the last couple weeks is transition and tell him things that, although he was Assistant Chief, there's things that happened in this office that he didn't know about or didn't know how to deal with," said Chief Goldman. During an interview with WPTV in December, Sims stressed the importance of building relationships between police officers and the communities they serve.